The Emirates FA Cup has teamed up with specialist sports creative agency Matta to create a campaign to drive attendance and attract a younger audience to this season's football games. 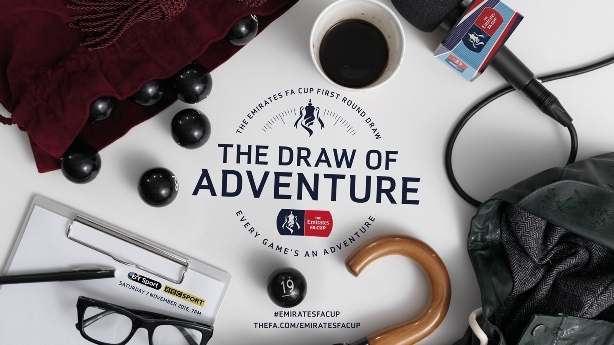 The "Every game's an adventure" campaign, which is now in its third year, features a GoPro-style self-shot video (below) of four young people attending an FA Cup match. According to Matta, the video is designed to modernise perceptions of the FA Cup, promote attendance among a younger audience and highlight the way 16- to 24-year-olds see the world through their phones and through social media. As part of the campaign, PR agency Mischief is handling an influencer programme that will be promoted on social. The song Where Are You Now? by the band Royal Blood is the soundtrack to the film. The third round commences this weekend, with teams from the Premier League and Championship playing their opening matches. The ad was created by Louis Swann and Craig Ellinor at Matta and directed by Stephen Parker through Chrome Productions. Matta was launched in 2015 by former Futureproof directors Matt Campbell (executive creative director), Matt Hunt (strategy director and former Hovis marketing director at Premier Foods) and Tom Allwood (digital and design director). A version of this article was first published on PRWeek.